This is the centerpiece collection from our son and future daughter-in-law’s church wedding shower. I like how the hostesses made a cluster of different sizes of flower vases and candle holders for the centerpiece collection. 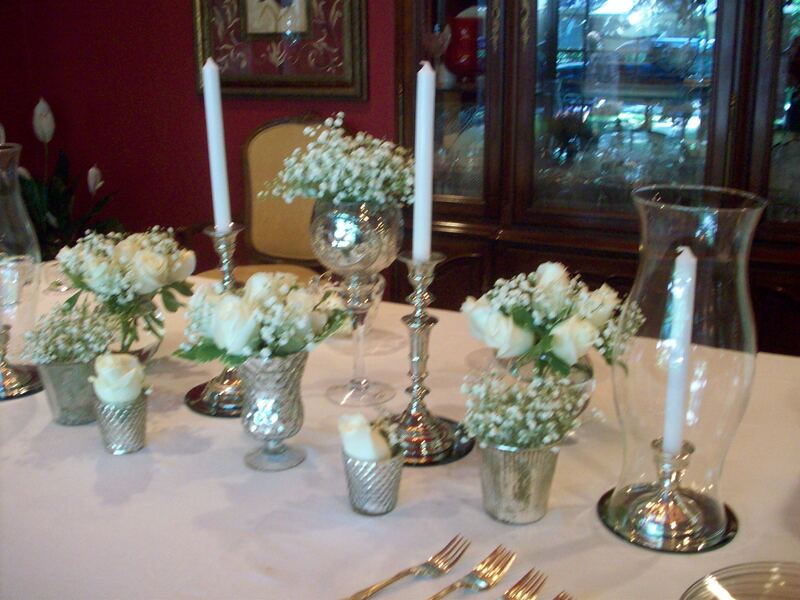 It’s different from the traditional flower centerpiece in the middle of the table and has a more modern look to it. I love the white roses and baby’s breath that were used, but colors of the wedding could easily be incorporated into the color scheme. But even more meaningful than a beautiful shower is the love behind it, from all the hostesses and those who attended!